There is quite a bit of misinformation floating around about henna and using it as a hair dye. 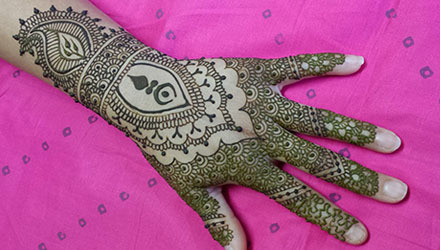 Most of this information is due to the confusion between pure natural henna and adulterated henna. Many things labeled as “natural henna” or “pure henna” are not what they seem. Many hennas that are sold for the hair are actually regular hair dyes, with henna added to them. Others are contaminated with metallic salts, lead, and other chemicals. These are NOT to be used on the hair! To be sure you are getting pure henna, you should only use BAQ (body art quality) henna from a supplier that knows henna. BAQ henna from a trusted source, will be high quality unadulterated henna powder with a super fine sift and a high lawsone content (the dying molecule of henna). You may have heard that you cannot use henna over already colored hair or that you cannot use hair dye over hennaed hair. Not exactly true. You CAN use BAQ henna over already colored or bleached hair. 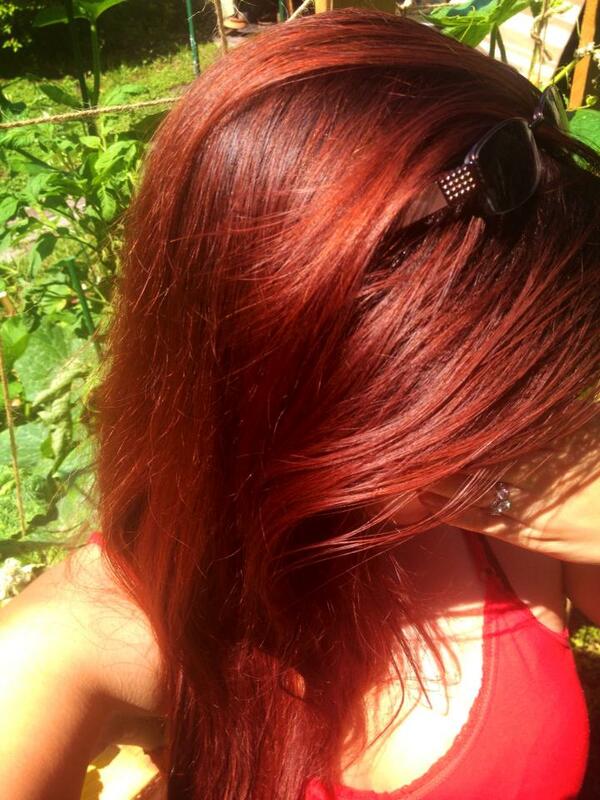 You CAN color over hair that has been dyed with BAQ henna. You should NOT do either if adulterated henna was used. Pure BAQ henna will not cause reactions with chemical hair dyes, but henna that contains metallic salts or other adulterants can react badly to chemical hair dye, including melting your hair. NEVER use random henna on your hair. Only use quality henna from a reputable supplier that has a relationship with their supplier (like Beachcombers Bazaar & Henna Supply). Henna is red. It’s also a transparent color, meaning it uses the color of your hair as it’s base. It cannot lighten your hair. If henna is labeled as a specific color, such as mahogany, brown, black, or any other color it is NOT pure henna. If you have white blond or gray hair, henna will be a super bold red color. If you have light brown hair, henna will be a brown/auburn color. If you have dark brown or black hair, henna will provide glossy red highlights in the sun. Dying hair with BAQ henna provides a glossy natural looking color with natural highlights and lowlights. It covers gray beautifully and naturally! It is possible to get other colors like blacks or browns naturally by mixing BAQ henna with other herbal options such as indigo, amla, or cassia, but that’s another post!